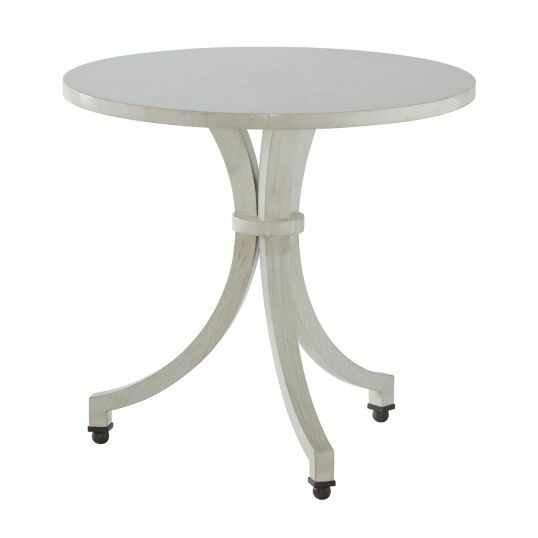 Accent Table, Circular Top, Hewn Top and Sabre Legs with Bronze Finish Feet. Shown in Whitewash Finish. Heavily Distressed Surface.